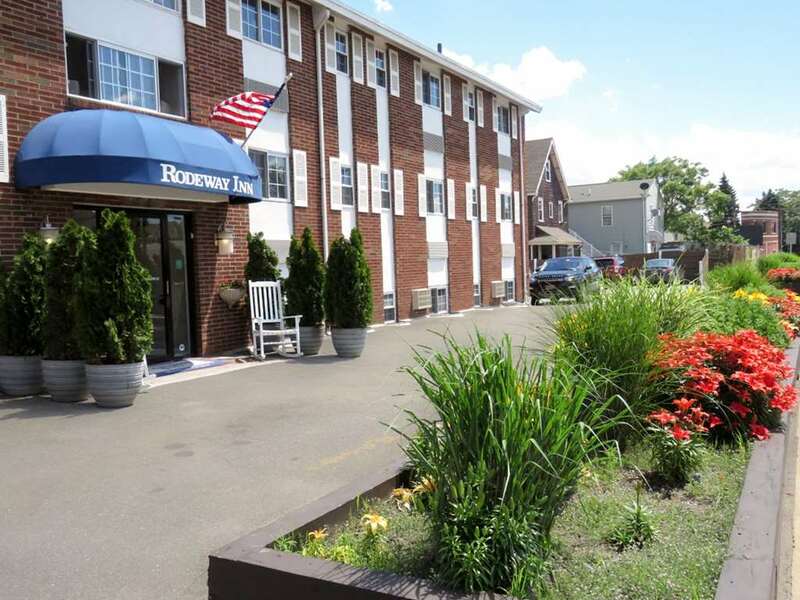 Get a solid deal on a simple stay in Revere, MA when you book a room at our Rodeway Inn Logan International Airport hotel. We are close to the Boston Massacre Site, Revere Beach, Boston Convention and Exhibition Center and Boston University. Each guest can take advantage of our free WiFi, free airport transportation, free coffee and business center. Each room is smoke-free and furnished with a hair dryer, iron, ironing board and TV. Join our Choice Privileges program today and start earning rewards with your next stay. *Some amenities may require an additional cost. Non-smoking hotel. Complimentary Shuttle service is available during scheduled hours to Logan International Airport, also the local MBTA Wonderland T Station and destinations within a 3 mile radius of the hotel during shuttle service hours. High Speed Internet Access: 10.00/night. All Guest will need a Credit Card & Picture I.D. at Check in. Limited Shuttle hours: open 4am to 11am and 3pm to 11pm. Please contact hotel for verification.